Washington, Nov 16 (IANS) China's former number 1 Peng Shuai rallied to beat Swiss player and top seed Belinda Bencic 3-6, 6-4, 7-5 in the second round to reach the quarterfinals of the Houston tennis tournament. 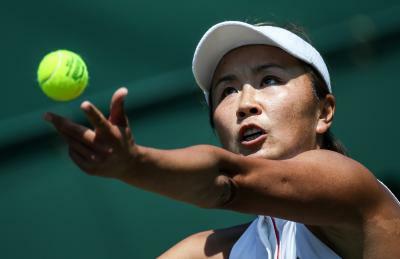 It took Peng, who is playing her first tournament in four months, 2 hours and 23 minutes to finish the match on Thursday. She will play against US player Whitney Osuigwe in the quarterfinals, reports Xinhua news agency. The 16-year-old Osuigwe defeated compatriot Varvara Lepchenko 2-6, 6-3, 6-2 in another second round match.